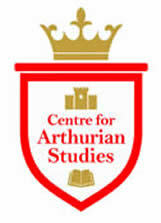 The Centre for Arthurian Studies builds on the record of long-standing excellence in research, teaching and outreach/ public engagement in this area of expertise since the inception of the University in 1884. Scholars contributing to the Centre's activities are affiliated primarily with the School of English literature and School of Welsh. Bangor University Library, and the Archives Special Collections boast unrivalled resources (including rare editions) in Arthurian studies; the collections have been enhanced through private donations which started even before the University Library was established, and have continued to grow through the dedicated work of Bangor scholars and librarians' careful preservation of the stock. Bangor University's new Centre functions as a hub of international research exchange in Arthurian Studies, and aims to bring together diverse expertise from across the chronological span of Arthurian legends, from the medieval to the modern period. Alumni of the MA and PhD programmes and other collaborators from across the world are associate members of the centre. The centre's international connections are further enhanced by the election of two Bangor scholars to prominent positions in the International Arthurian Society, a scholarly society established in 1949. The Society currently stands at over 1,000 individual members and 300 institutional members. Emeritus Professor P. J. C. Field, a scholar and editor of the work of Sir Thomas Malory, was international president (2002-2005) and president of the British branch of the same society (1999-2002), while Professor Raluca Radulescu, founding director of the centre, is currently president of the British branch (2015-2018) and was founding general editor of the society's Journal of the International Arthurian Society and the Bibliography of the International Arthurian Society (2011-2017).